In many parts of the world, beach parties are a part of pop culture. The concept of partying amidst sun, sea, and sand is a huge hit all over. Ever wondered how so many people throng to beach parties? Well, promotion and publicity do the trick, of course. 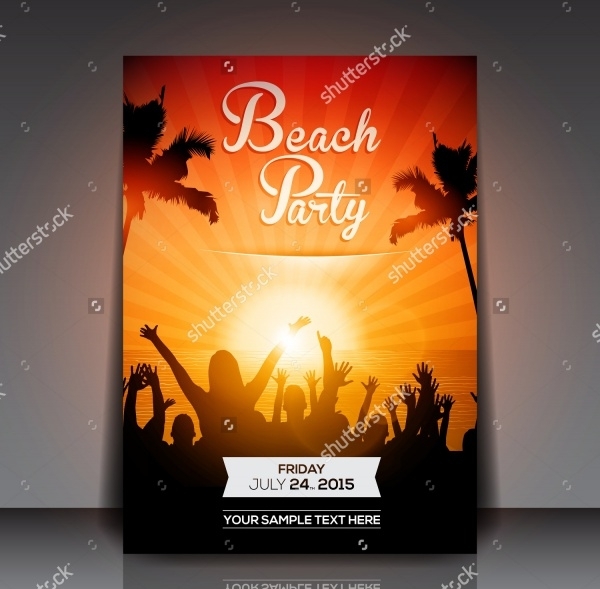 The most popular way word about a beach party goes around is through beach party flyers. 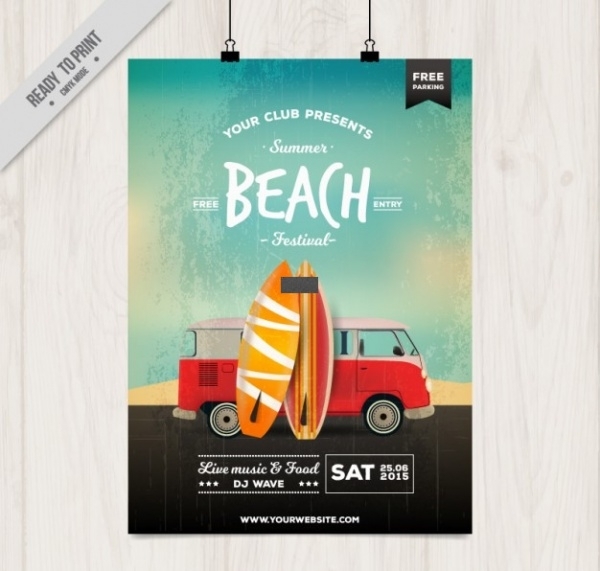 There are innumerable styles and formats in which beach flyers are designed. 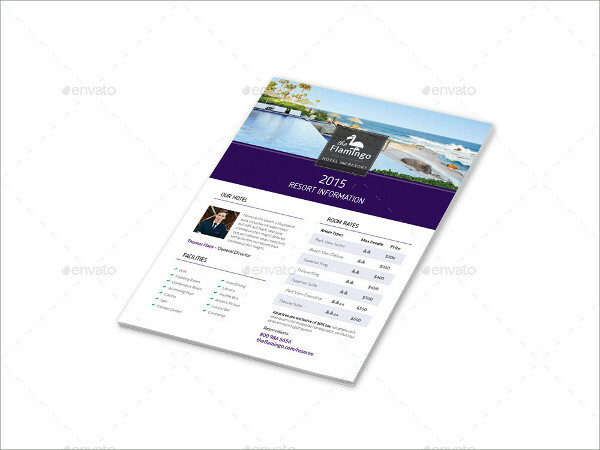 With flyer templates, the task becomes easier!You may also see Summer Flyers. 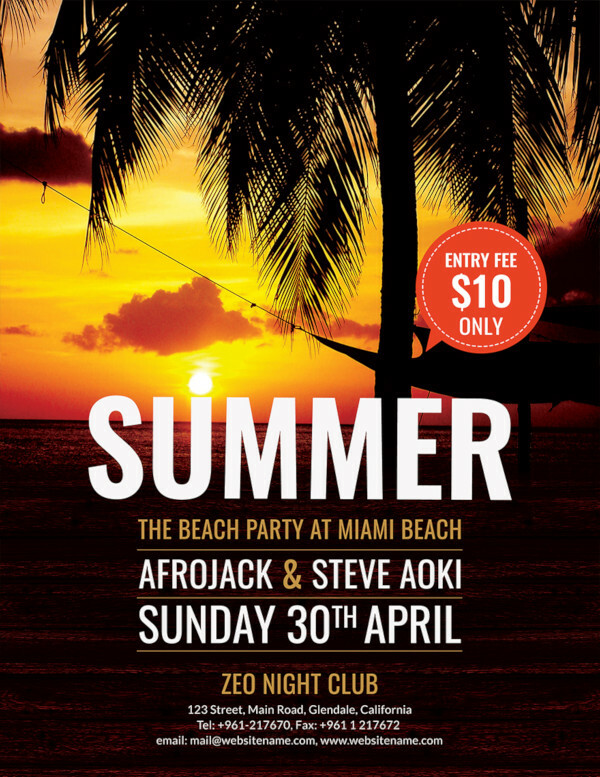 This flyer template is apt if you’re going to be hosting a gig especially for the surfers’ community. 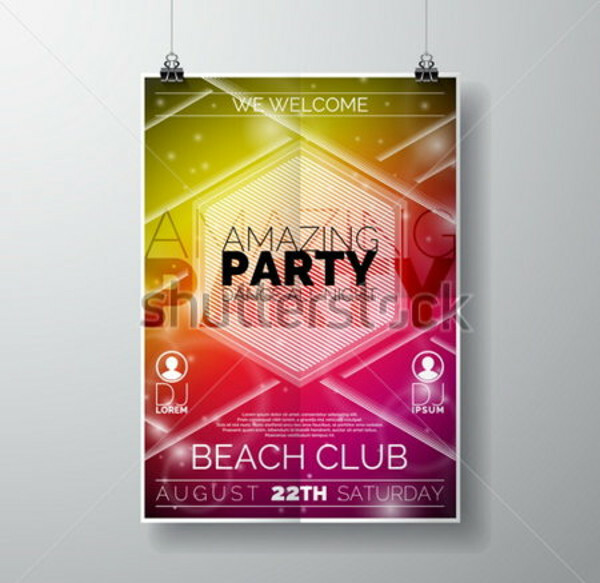 This template also works if there is a surfers’ beach fest in the works.You may also see Party Flyer Designs. 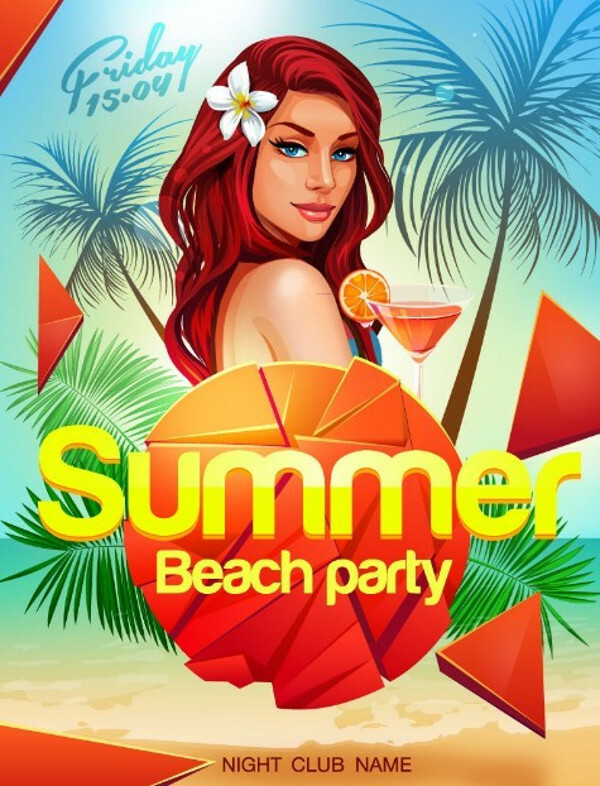 Invite the town’s party crowds to crash at your beach party where multiple DJs would be spinning their music discs! 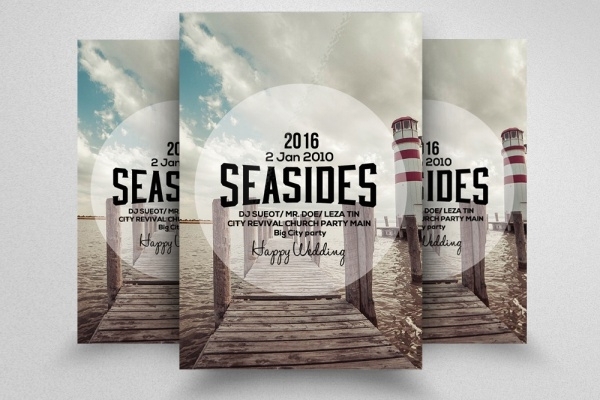 This template captures the beach party spirit to the hilt. Download now!You may also check DJ Flyers. Spice up the ambiance of your night party by promoting it on this jazzy night party flyer template. Fully editable and customizable, this flyer will surely make people stop in their tracks to read more! 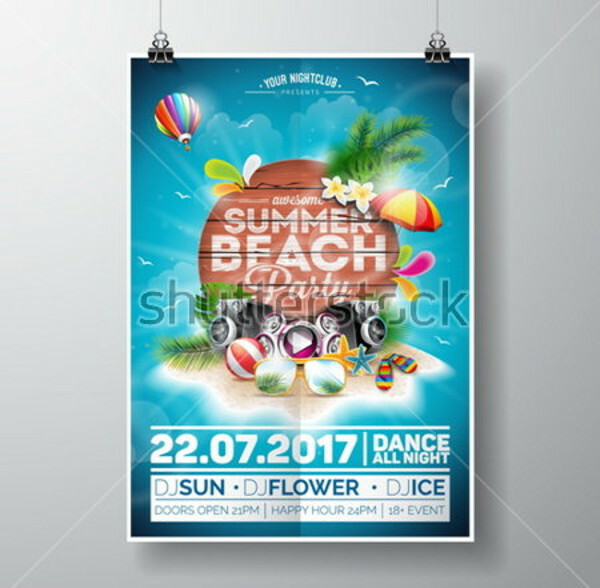 This is a Free Vintage Summer Beach Party Night Club Flyer Template Vector. It’s got all the elements of the summertime and party feelers too. You can use this for web design and graphic design projects too! 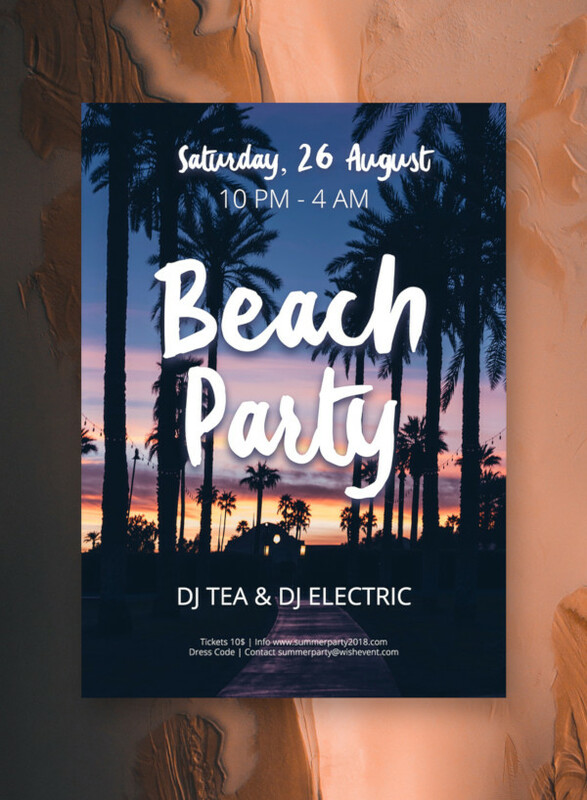 This lively beach flyer template is another great option you could pick to promote your beach party event in the summers. The PSD files are fully layered and fully editable. Download and customize now! This is a 4×6-inch beach flyer sample. Full of vibrant colors and thick fonts, you can make edits and tweaks in the design and artwork details to personalize the template up to your specifications. 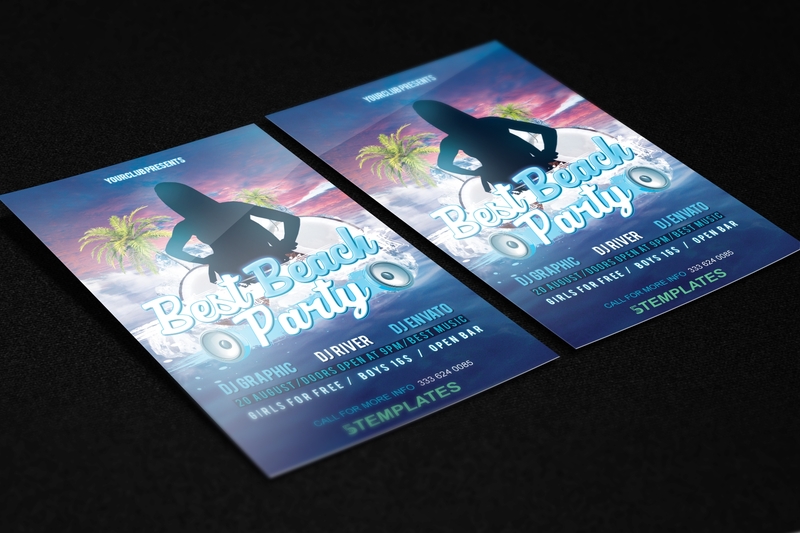 This template features a party flyer based on the summer beach theme. If you’re a fan of abstract art, you’re definitely going to want to work with this sample and reinvent it on your own terms. The combination of a beach party and barbeque is an all-time hit. If that’s the event you want to have a run at, why not choose a flyer sample such as this one right here and tell people about what you have in the works? 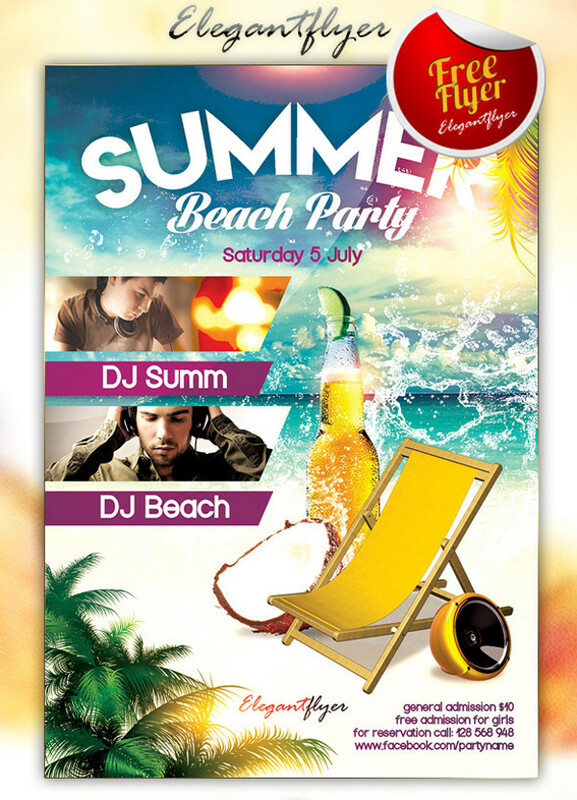 This is an attractive summer beach flyer vector, replete with bright summer colors, artwork and fonts. 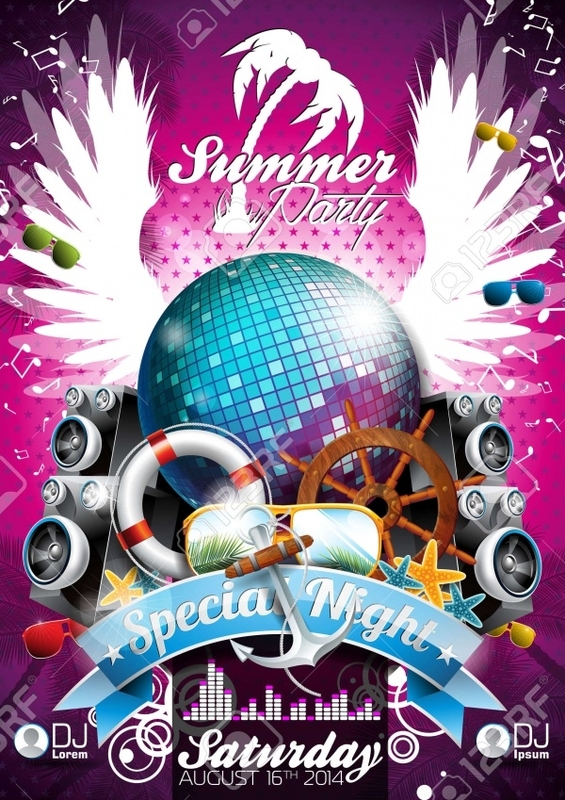 Download now and customize it to create a special flyer for your summer event! 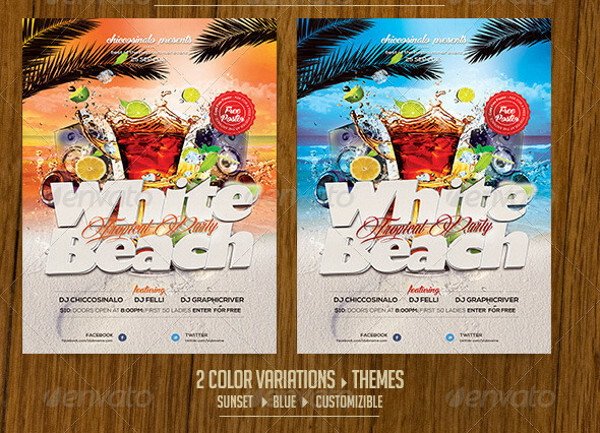 With this flyer template, you get two variations to choose from. 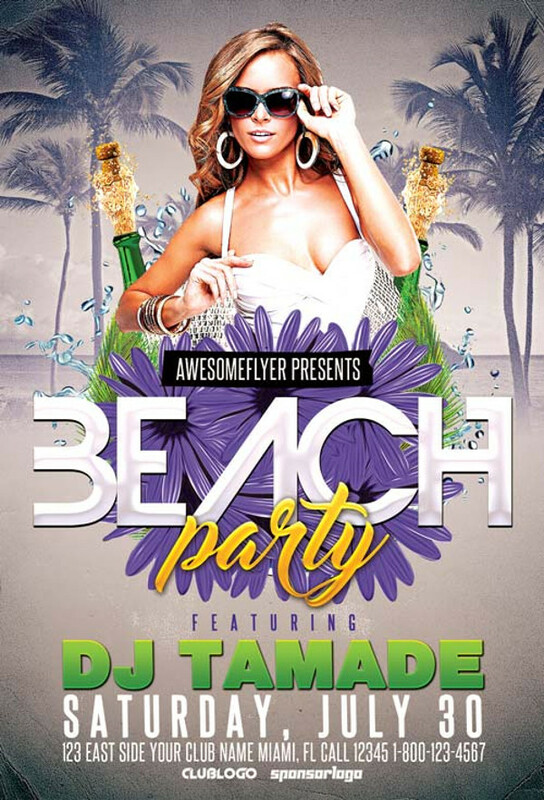 If you’re having a tropical-themed party, this is the ideal beach party flyer for it. You edit and include relevant details of your event and the flyer will be ready in no time! LGBT beach parties happen quite frequently nowadays and the rate of participation is also very encouraging. 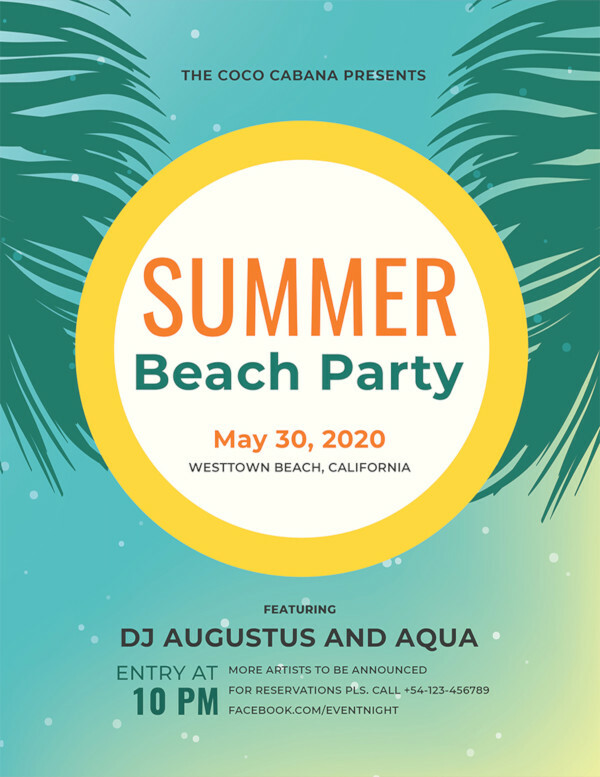 If this is the beach party theme that you have in mind, we’d ask you to choose this flyer template to represent your event! 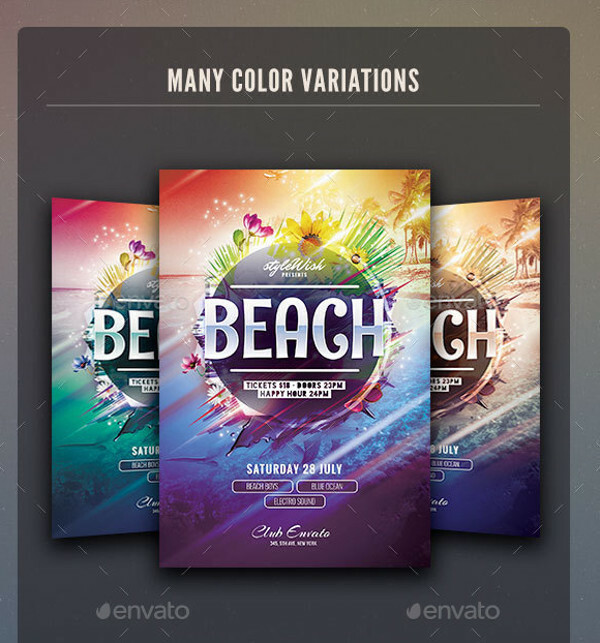 Partying on the beach from sundown till the wee hours into the night, if that’s your event’s play, you have to choose a flyer design which is sunny and tells the crowds what they can expect. A flyer such as this one is just too good! 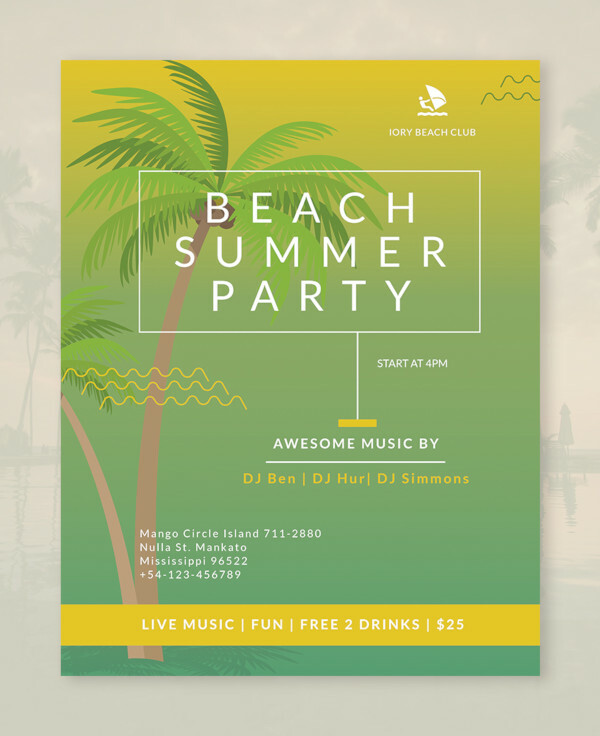 This flyer sample is perfect for party organizers that are holding their events in resort locations by the beach. 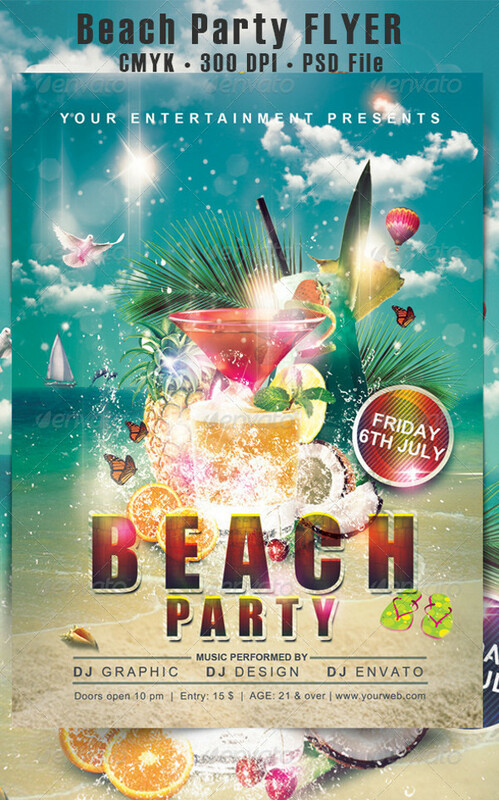 If you’re associated with the hospitality sector, this flyer is apt for advertising about your beach party! 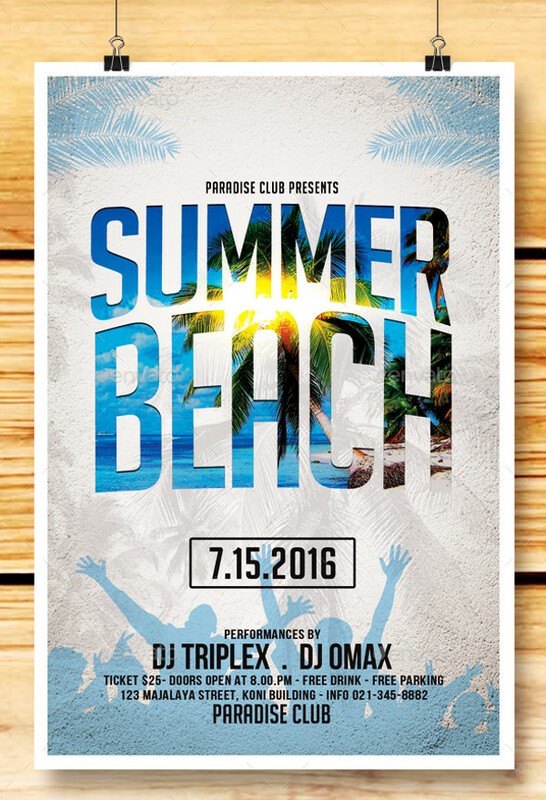 Have a rich beach party gig planned over the weekend? 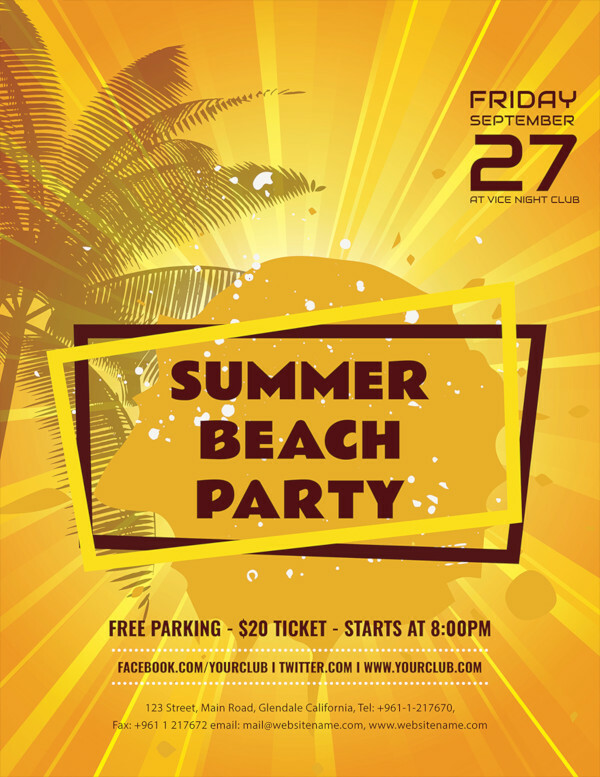 If the answer is yes, you’re going to need a super duper beach flyer sample to create flyers in a jiffy and distribute! Download this sample right away! Are you having a mermaid-themed beach event? Well, let the party goers learn about it and much more from this utterly beautiful flyer design. It is loaded with great editable features and customization settings. 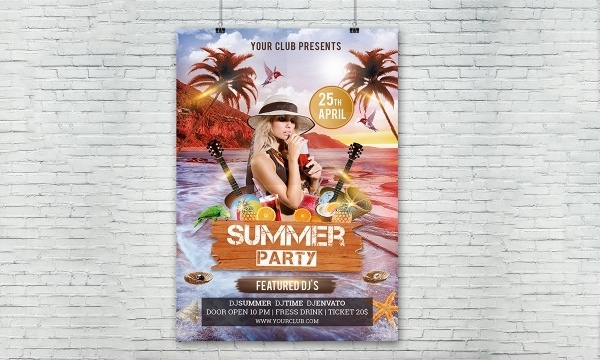 Regardless of the theme, time, and location of your beach party, we promise you that whichever template you choose from this list, it is going make an impact and have your message delivered far and wide. Download, customize, print, distribute and let the party begin!